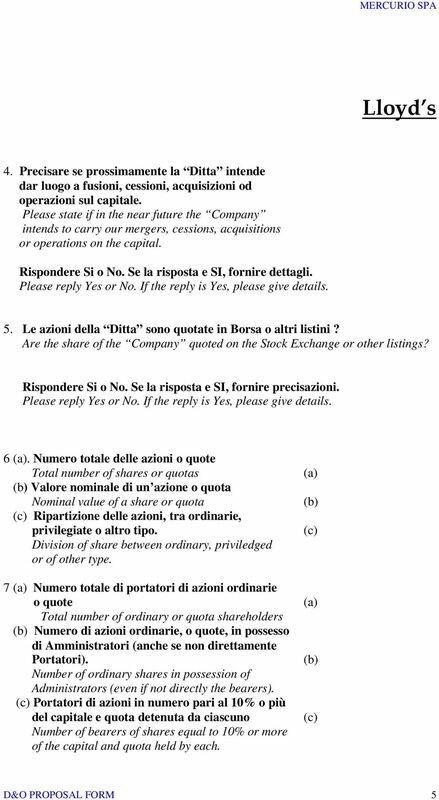 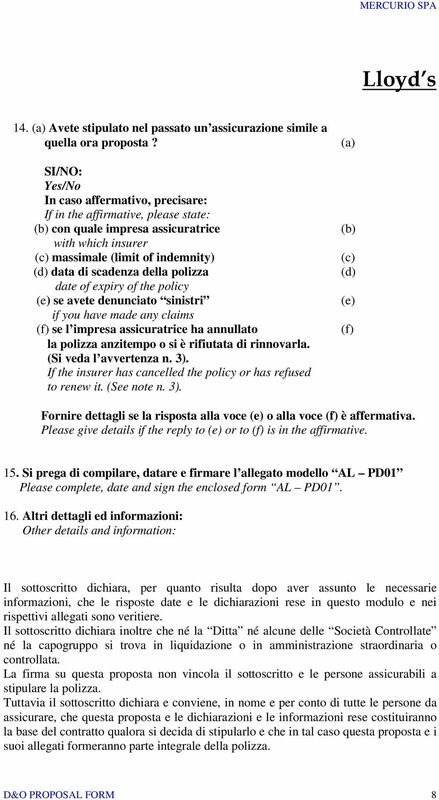 Download "D I R E C T O R S & OF F I C E R S P R O P O S A L"
QUESTIONARIO PROPOSTA Proposta di assicurazione R.C. 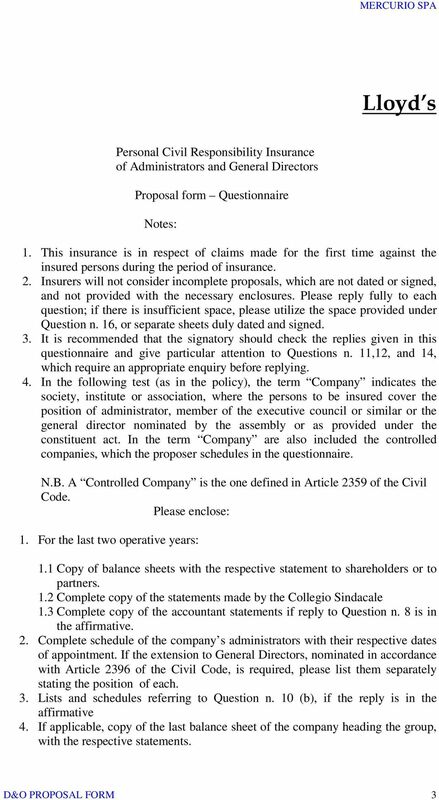 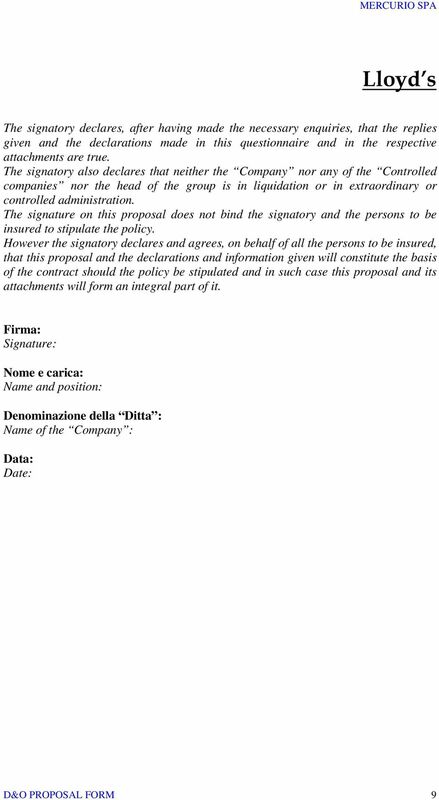 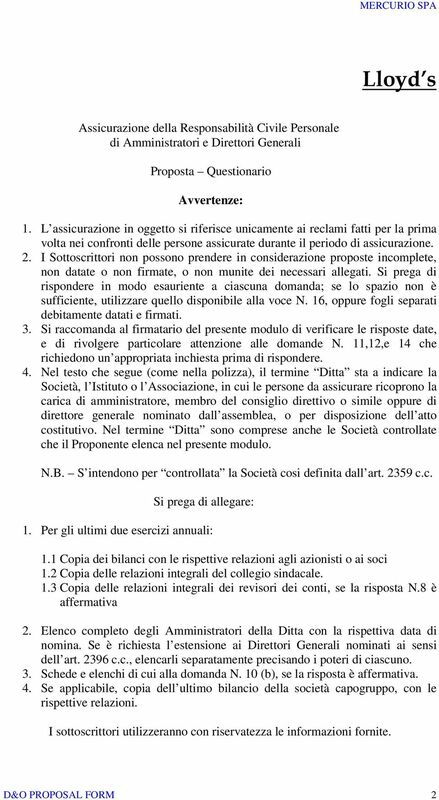 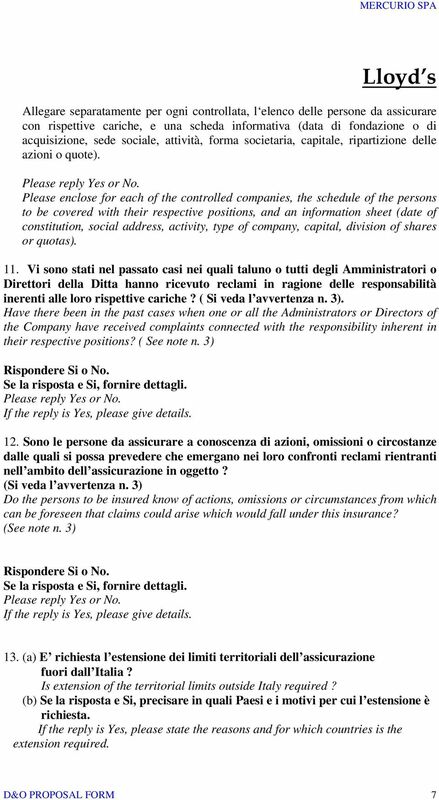 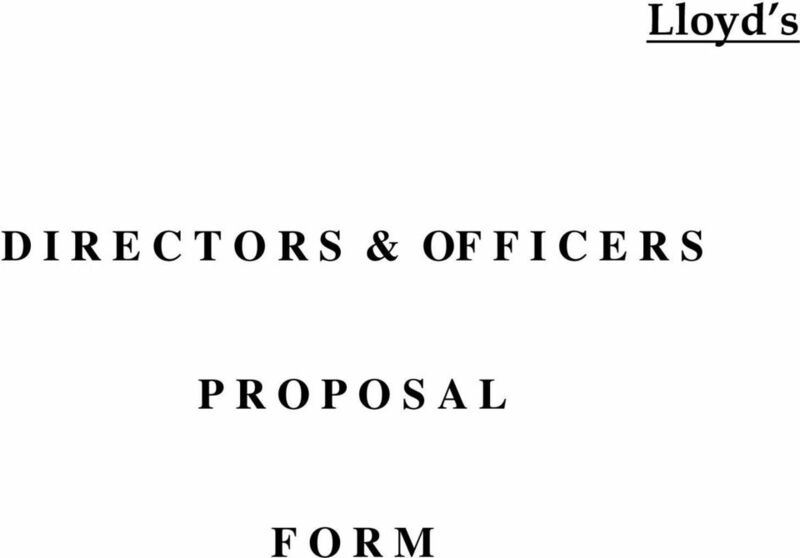 Professionale per Medici-Chirurghi Proposal Form Professional Indemnity Insurance of G.P. 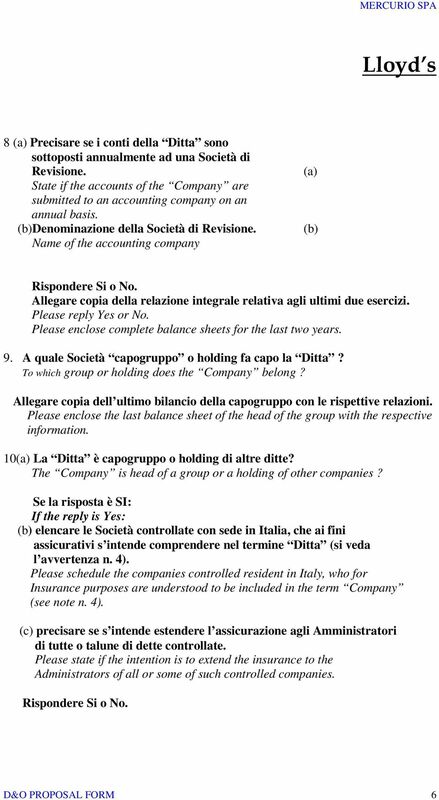 Object: Filing of the list of candidates as members of the Board of Statutory Auditors of TERNA S.p.A.